Trendy Pet Bowls - Elevated, Stylish Cat and Dog Bowls! Trendy Pet Bowls – Elevated, Stylish Dog and Cat Bowls That Are Ideal For Your Pet! 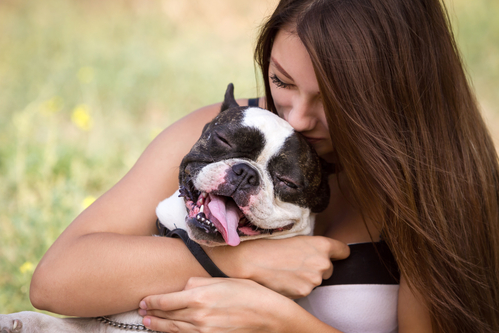 As pet owners, we are always trying to figure out what is best for our beloved fur children. 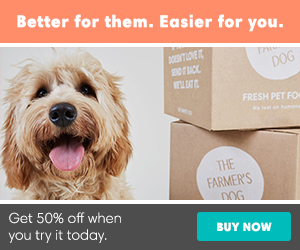 We want to make sure our pets have the right diet, plenty of toys and fresh water. Even something as simple as our dog and cats’ bowls can really play into our pets’ health and well-being. And, that’s where Trendy Pet’s bowls can help! They offer a wide range of stylish, elevated bowls that are tailored to your dog or cat’s needs. 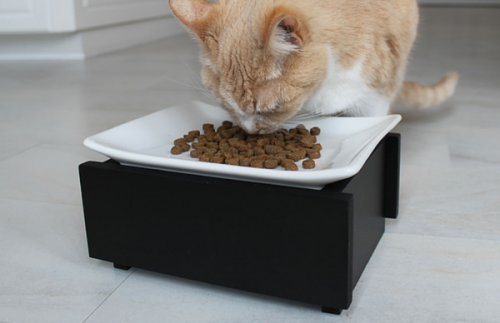 Trendy Pet Bowls are elevated to help our cats and dogs digest the food more easily. 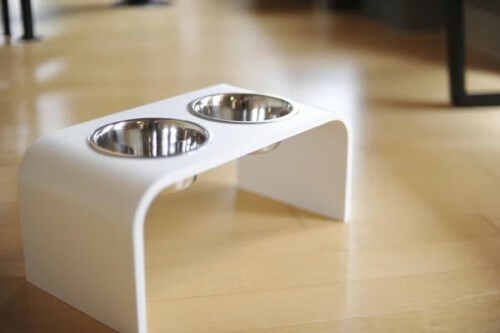 When elevated, these bowls make it easier for your pets to digest their food as it then moves more quickly through their system. And by standing a little higher while eating, the bowls help relieve stress on your pets’ wrist and paws as well as their hips and shoulder areas. Genius! Trendy Pets offers a Whisker Stress Free Cat Bowl which is ideal for your cat! Trendy Pets offers a sleek looking elevated cat feeder that has a wide, shallow ceramic dish that helps minimize whisker stress for your cat. Whisker stress is when your cat’s whiskers touch the side of the bowl which can actually cause them pain and inhibit their appetite. A cat’s whiskers are the most sensitive sensory area, and the Whisker Stress Free Cat Bowl allows our finicky cats to eat without having their whiskers touch the side of the bowls! Trendy Pet’s Elevated dog bowls come in different heights, weights and bowl sizes to fit your dog’s exact specifications! If you have a small dog or large one, you can find the right size as they offer feeders ranging from 4 inches to 18 inches with two 2 Quart Bowls for your specific dog! They even offer a three-bowl elevated feeder for the family with multiple pets! Trendy Pets also came up with an awesome slow feed elevated stand with a raised center that slows down feeding and reduces gulping for our dogs that eat too fast. Trendy Pet Feeders are not only stylish, but are safe for your dogs and easy to clean! Trendy Pet Dogs feeders are stylish, water resistant, BPA plastic free, rot resistant, help to deter spilling and are lead, barium, cadmium, barium and zinc free. All the bowls are super easy to clean. Just use a warm water damp sponge or cloth to wipe down the surface of your Trendy Pet feeder and dry with a clean towel. Don’t use powder or other abrasive cleaners as they may scratch the surface of the feeder. How do you choose the best feeder and bowl size for your dog or cat? In order to choose the right feeder height for your dog or cat, just measure from the floor to the top of your pet’s shoulder when your pet is standing. Take that measurement and subtract 6″ to get the correct feeder height…i.e. a 10″ measurement of your pet would mean the correct feeder height is 4″. To find the right bowl, just fill your bowl at home with water and see which one of their bowls fits the closet. The list below is based on filling their stainless steel bowls with water. These awesome bowls come in stainless steel, black, white and red depending on the feeder size.